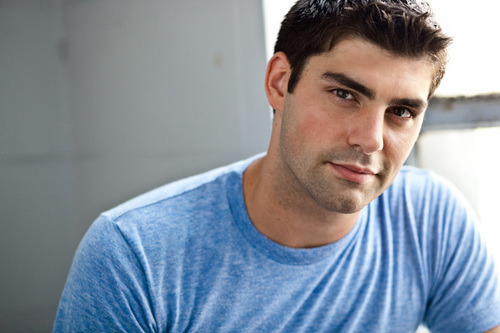 For this edition, I'm featuring the men of Rookie Blue. So look, I know that the far majority of you won't know what this show is or who my choices are but that's okay. I'll walk you through. 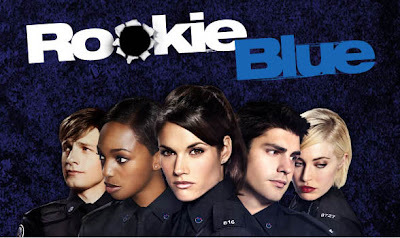 Rookie Blue is about a bunch of rookie police officers working in Toronto. After two seasons, I'm completely hooked. Without hating on previous Canadian cop shows, this one is freaking fantastic. I've been forced into watching repeats while they shoot the third season and all it's done is make me lust after the male actors love the show more. So, without further adieu, let's get started, shall we? Okay, so MAYBE you've heard of this show before because I bragged all over this blog about my very first autographed picture. Ben Bass, the hunk in the personalized shot above, is the obvious choice for effing. I mean, just look at him! It's a wonder that the photo paper doesn't catch on fire from his hot-ness. Not only that, but the character he plays, Sam Swarek, is a smouldering and somewhat dangerous police officer who wears a leather jacket in his spare time. Okay, someone get me a fan. Or a bag of ice. Travis is a bit of a newbie and also Canadian. The reason he's a Marry instead of an Eff is because although Travis is also incredibly easy to look at, the character he plays, Chris Diaz, is so cute that I want to pinch his cheeks. He's sweet, caring but can also throw down. I'm all for effing the dangerous dude but he's not the one you want to marry. Nope. I want the hottie Mc-tottie who'd wake up early to surprise me with apple cinnamon pancakes. Pancakes with lots of syrup. Oh the things we could do with that syrup. Yes, this is a marriage I could get into. Oh Greg, I'm sorry. It's not that I WANT to kill him but, as you can probably tell, he's not really my type. I prefer dark and mysterious and...well...that just isn't him. Greg's arguably the more famous member of the cast and was pretty cool in that one episode where he went undercover but, at the end of the day, he just doesn't make the top two power positions. Maybe if his hair was different? It's kind of Bieber-y right now, which just isn't good. It ISN'T GOOD, Greg! So, for this, he will be (theoretically) killed in the line of duty. It's cool. I'll throw him a great funeral. There'll be sandwiches and nacho dip. Maybe even a bite-sized brownie or two. Thanks for hosting, Heather and Michelle! I've never watched this show, but I 100% agree with your choices based on looks!!! Thanks for playing along! I LOVE your picks. Totally agree with the kill, but I'd have to switch around the Eff and Marry. I would totally marry Sam...I think I'm a little too emotionally invested with his character. LOL During the last episode of season 2 when I thought he was dead I wanted to cry...then did cry a little when he came walking out of that building (see, unhealthy obsession). I'd also kill Luke, because he just gets in the way of Andy and Sam. P.S. I'm following you on Twitter now so we can chat when the show is on :) So glad there is someone out there who is totally obsessed like me. My name is MrsRodgers282 (I also have an unhealthy obsession with Aaron Rodgers but that's a whole different story...lol). I'm with Michelle, based on looks alone....great choices! 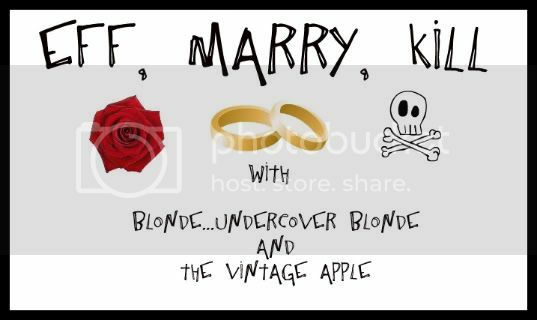 Gah, especially the marry. Swoon!! Apple cinnamon pancakes?! I'd marry the guy too!! how funny,i have totally seen this show, it is pretty good. i agree with your choices :) another great canadian cop show is "flashpoint",i love it!! I haven't seen this show, but isn't that last guy from 90's Disney Channel stuff? He looks so familiar! I've only watched this show once...but I'd agree with your choices. :-) And how cool is that autographed picture?! LOVE IT! Only watched the show a few times, but love your selections! This is a funny link up!